Justyn is a sophomore Business Honors & Marketing major from the small town of Mason, Texas. Justyn found her passion for the broadcasting industry during two summers of hosting her radio show, "Justyn Time." 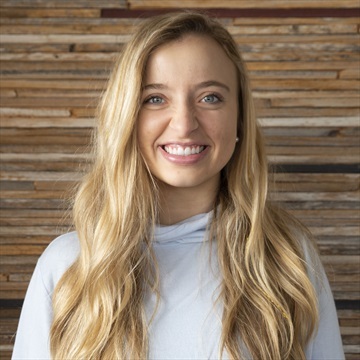 She began interning for TexAgs in the spring of 2019, working Social Center and writing recaps for spring sports. When she's not working with TexAgs, Justyn is either studying, being way too competitive at friend game night, or eating sushi. In their first game on the recently completed Davis Diamond, the No. 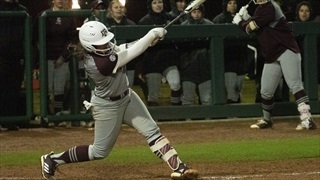 20 A&M softball team took care of business, taking down Cal Baptist 9-1. The Aggies' strong offensive outing was led by Riley Sartain, Blake-Ann Fritsch, and Kelbi Fortenberry who each had two RBI.